HOUSTON (KTRK) -- An Amber Alert has been canceled for two Houston children last seen early Wednesday morning. The children have been safely located, and, according to the kids' parents, the suspects are in custody. Three-year-old Leah Avila and four-year-old Jordan Avila were taken from their home Wednesday near Crosstimbers and Bauman Road. The kids' father, Isaac Avila, sent Eyewitness News this message Thursday morning: "Just letting you know our kids (have been rescued) by the FBI and (Houston Police Department detectives). Suspects are all in custody. Thank you and Channel 13 and everyone that kept my kids in prayer..."
According to the Harris County Sheriff's Office, the suspects were traveling with the children when their RV broke down around 7:43pm Wednesday near Spring Cypress Road and I-45. A few hours later, the deputies who assisted the motorist saw the Amber Alert and realized Leah and Jordan were the children in the stranded vehicle. They contacted the wrecker driver who towed the RV, then located the vehicle and the children at a motel on the North Freeway. They contacted police and three suspects were detained. The children are home safe now, Avila said this morning. Isaac Avila said the children's maternal grandmother, along two other relatives, arrived at his mother's home where the children were temporarily living. He said Garcia overpowered his mother and snatched Jordan and Leah from their beds and took off in a Nissan sedan. He said the children didn't even have shoes and were frightened. Both children were taken while they were still in their pajamas. "When all the investigators showed up and it was like, this must be something different, and then we saw helicopters," said Luis Reyes, who lives across the street. 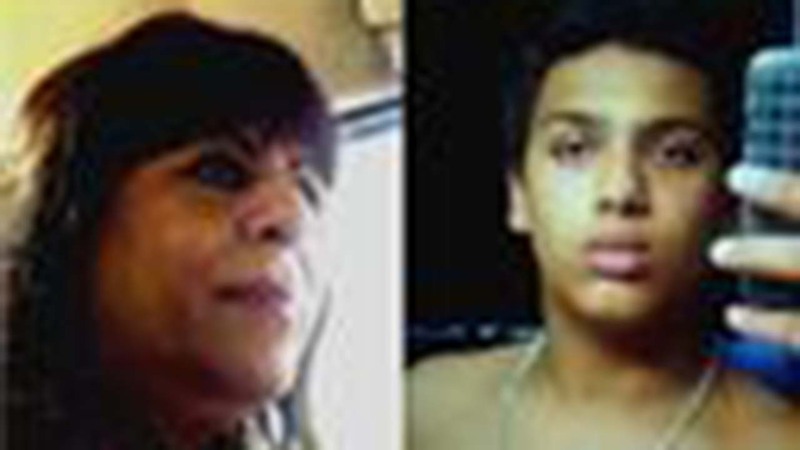 The suspects -- Rose Mary Garcia, 60, Andrea Alarcon, 34, and Lukel Evans, 18 -- are all Hispanic and related to the biological mother, who is not believed to be involved. Relatives say Garcia is from Colorado, and they feared she may take the children there. Isaac Avila said at the time the kids went missing that he didn't know the other two suspects with Garcia, but that he thought he knew the motive. "I guess it's just, they want to hurt. They want to hurt the kids. They want to hurt the kids' parents for whatever reason there is. They are trying to take it out on the kids instead of taking it out on adults like grown up people," he said. Avila said he and his ex-wife worked together with investigators to get their children found and returned safely.